Pontefract lost 3-2 at home to reigning Premier Squash League champions Duffield last night. With the teams locked at 2-2, Chris Simpson recovered from a game down to beat Pontefract’s James Willstrop 3-1 in the deciding match to give Duffield the edge. Pontefract fielded their strongest side of the season with Dutch number one Laurens Anjema and Fiona Moverley also availabe. Duffield were without their top players Nick Matthew and Laura Massaro but they had England internatonal Simpson at top string and three of the country’s leading young players in their team. 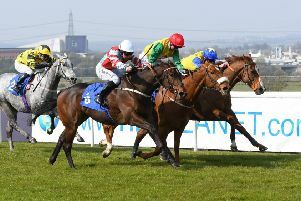 Anjema and Patrick Rooney were Pontefract’s winners. Anjema beat Declan James 3-2 (11-5, 5-11, 11-3, 4-11, 11-8). Rooney achieved a 3-1 victory against Ashley Davies (13-15, 11-9, 15-13, 11-5). Pontefract’s Simon Parke lost 3-0 to Richie Fallows (5-11, 4-11, 6-11) and Moverley was beaten 3-0 by Millie Tomlinson (6-11, 5-11, 14-16). Duffield are just one point behind leaders Leicester while Pontefrract are second bottom in the table.